Toshiharu Ikeda, 59, a noted film director, is believed to have died on Dec. 25, 2010. His body was found off Cape Daiozaki in Shima, Mie Prefecture, on Dec. 26. He was known for such films “Ningyo Densetsu” (1984) and “Aki Fukaki” (2008). Hideko Takamine, an actress who took on roles that transformed the expectations of women in Japanese cinema, died Dec. 28, 2010 at age 86. Her credits include Keisuke Kinoshita’s “Twenty-four Eyes” (1954), Mikio Naruse’s “Floating Clouds” (1955), and Naruse’s “When a Woman Ascends the Stairs” (1960). Barney Hajiro, the nation’s oldest Medal of Honor recipient, died on Jan. 21 at age 94. The Hawaii native was wounded during the 442nd Regimental Combat Team’s rescue of the “Lost Battalion” in 1944 in France. In 2000, he attended a White House ceremony in which the Distinguished Service Crosses he and other Nisei vets received were upgraded to Medals of Honor. Miyoko Komori, who revived the Obon odori tradition at local Buddhist churches, died on Jan. 23 at age 80. The Osaka native came to the U.S. in 1963 to introduce “Tokyo Gorin Ondo” (Tokyo Olympic Dance) and later choreographed dances for such songs as “Bon Odori Uta,” “Hanagasa Odori,” “Joban Tanko Bushi” and “Tokyo Ondo.” She was recognized by Buddhist Churches of America for her contributions. Warren Tsuneishi, a veteran of the Military Intelligence Service and an authority on Asia who served as chief of the Asian Division at the Library of Congress in Washington, D.C., died on Jan. 29 at age 89 in Baldwin Park. He was part of one of the first U.S. delegations to China after President Richard Nixon’s trip in 1972. Hisaye Yamamoto, a pioneer Japanese American writer, died in Los Angeles on Jan. 30 at age 89. She was the author of “Seventeen Syllables and Other Stories,” which included “Yoneko’s Earthquake” and “The Legend of Miss Sasagawara.” She contributed many stories and essays to both Nikkei and mainstream publications. Robert Iso, one of the first members of the 442nd Regimental Combat Team, died on Feb. 6 at age 92 in Menlo Park, San Mateo County. He received the Bronze Star and two Purple Hearts for his service in France and Italy. Just three days before his death, he was presented with a document signed by President Obama and congressional leaders declaring that the 442nd would receive the Congressional Gold Medal. Ted Tajima, a journalism instructor and advisor at Alhambra High School for 35 years, died on Feb. 20 at age 88. During his tenure, the school newspaper, The Moor, received several awards from the National Scholastic Press Association. Unable to enter mainstream journalism because of discrimination immediately after World War II, he was a mentor to many professional journalists at such papers as the Los Angeles Times. Martha Yamaki, a lifelong community and political activist, died on Feb. 21 at age 88. She served on the Los Angeles Rent Adjustment Commission under three administrations from 1981 to 2003. She was active with organizations from the Yellow Brotherhood to the Montebello Women’s Club, and helped establish a multiethnic City Council district steering committee in the Crenshaw neighborhood. Wally Yonamine, the first foreigner to play professional baseball in Japan, died Feb. 28 at age 85 in Honolulu. 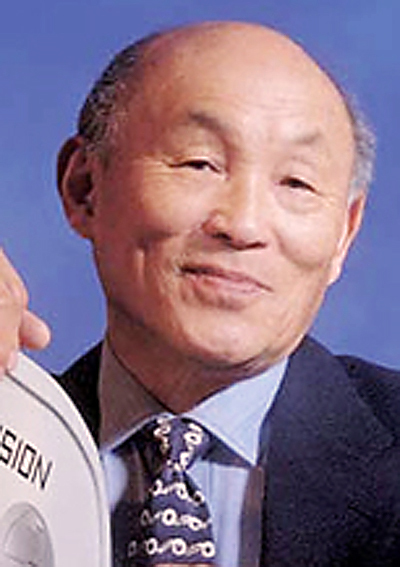 The Hawaii-born Nisei was the first Asian American to play pro football when he joined the San Francisco 49ers as a running back in 1947. He led the Yomiuri Giants to the Japan Series in 1951, won the 1957 MVP award, and made seven All-Star appearances. As a coach, he led the Chunichi Dragons to their first Japan Series in 1974. Toshiko Takaezu, a ceramic artist and former visual arts professor at Princeton University, died on March 9 at age 88 in Honolulu. She taught at Cleveland Institute of Art, built a studio in Clinton, N.J., and taught at Princeton for 25 years. Her bronze “Remembrance Bell” marks the entrance to the university’s garden commemorating the alumni victims of 9/11. 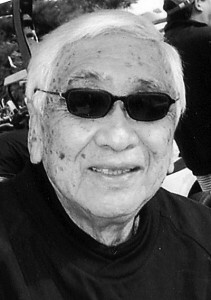 Noboru Taguma, one of the World War II draft resisters, died on March 11 at age 87 in West Sacramento. While interned at the Amache camp in Colorado, he was one of only 300 young Nisei (36 from Granada) who refused to serve in the military until their families’ constitutional rights were restored. He served his sentence at a Tucson federal labor camp. In later years, the resisters were honored for the stand they took. Kam Kuwata, a long-time Democratic political strategist, was found dead in his Venice condominium on April 11. He was 57. He served in many key roles for the campaigns of Sens. Dianne Feinstein, Sen. Daniel Akaka, the late Sen. Alan Cranston, former Gov. Gray Davis, the late former Lt. Gov. Leo McCarthy, former Mayor Jim Hahn, Rep. Jane Harman, and the late Rep. Robert Matsui, among others. Yoshiko Tanaka, who skyrocketed to fame as a member of the female pop trio The Candies from 1973 to 1978, died on April 21 at age 55 in Tokyo. She later returned to the spotlight as an actress and may be best known for her lead role in Shohei Imamura’s “Black Rain” (1989). Norio Ohga, who as chairman transformed Sony into a global software and entertainment empire, died on April 23 at age 81. He sold the world’s first CD in 1982 and saw CDs overcome record album sales in Japan five years later. Sony’s purchase of Columbia Pictures was criticized, but Ohga’s focus on music, films and video games as a way to enrich the electronics business helped create Sony’s success. Richard Yoshikawa died on May 29 at age 91 in Stockton. He was appointed to the San Joaquin Delta College Board in 1964 and to the San Joaquin County Board of Supervisors in 1974, becoming the first Japanese American to serve on both boards. He was elected supervisor in 1976 and 1980. In 1981, the Board of Supervisors passed his resolution supporting redress for Japanese American internees. Matt Fong, former state treasurer of California, died on June 1 at age 57 in Pasadena. When he was elected in 1994, he became the first Asian American Republican to hold statewide office. He won the GOP nomination for U.S. Senate in 1998 but lost in the general election to Sen. Barbara Boxer. He was the son of former California Secretary of State March Fong Eu. Etsu Masaoka, widow of the late JACL leader Mike Masaoka and sister of former Secretary of Transportation Norman Mineta, died June 2 at age 95 in Maryland. She was active in JACL and attended most of its national conventions over the past 60 years. JACL honored her at its 2010 “Salute to Champions” gala. Rev. Hosho Shindo of Gardena Buddhist Church died on July 3 at age 62 in Torrance. He previously served at Buddhist Temple of Salinas, Monterey Peninsula Buddhist Temple, and, prior to his assignment to the BCA, Honpa Hongwanji Mission of Hawaii as well as temples on Kauai and the Big Island. Taiji Sawada, a Japanese heavy metal musician, died July 17 at age 45 in Saipan, an apparent suicide. He was the bassist in X Japan, a flashy band that peaked in the 1990s, and also briefly played with the heavy metal band Loudness. Yoshio Harada, an actor known for his outlaw-like characters, died July 19 at age 71 in Tokyo. He appeared in over 80 films, the last of which was Junji Sakamoto’s “Soshika-mura Sodoki” in 2011. Hideki Irabu, a former Major League Baseball pitcher, died July 27 at age 42 in Rancho Palos Verdes, an apparent suicide. After becoming a star in the Pacific League with the Chiba Lotte Marines, he joined the New York Yankees in 1997, earning two World Series rings but falling short of expectations. He played for the Montreal Expos and Texas Rangers before going back to Japan and joining the Hanshin Tigers. Yukio Hino of Pasadena, a faithful force in local sports, died on July 31 at age 87. He served 56 years as a member and 26 years as treasurer of the Creelbusters, a fishing club; over 20 years as president of his ballroom dancing class; and over 40 years as treasurer/secretary of the Pasadena Bowling League, which was renamed the Yuk Hino Bowling League. In 2005, he was elected to the San Gabriel Valley Men’s Bowling Association Hall of Fame. Naoki Matsuda, a Japanese soccer player, died on Aug. 4 at age 34 in Matsumoto, two days after suffering a cardiac arrest during training. He played 40 times for Japan, including the 2002 World Cup in Japan and South Korea, and also played 385 J-League games for the Yokohama F Marinos from 1995-2010, helping them to three titles. Tak Miyagishima, Panavision’s senior vice president of engineering, died on Aug. 4 at age 83. From 1955 to 2011, he was involved in the design of many Panavision products that changed the way motion pictures were made, most notably Panavision optics, which gained worldwide recognition. He designed the famous Panavision logo and received an Academy Award in 2005 for his pioneering achievements in film optics. Pat Takasugi, a two-term Republican state representative in Idaho, died on Nov. 6 at age 62 in Boise. A third-generation farmer from Wilder, he served as the state’s secretary of agriculture for a decade (1996-2006) and was a partner in Snake River Produce. Naruto, a sumo elder formerly known as yokozuna Takanosato, died on Nov. 7 at age 59 in Fukuoka. He became the 59th yokozuna in professional sumo in 1983 and won the Emperor’s Cup four times. After retiring, he launched the Naruto stable, which produced such wrestlers as Kisenosato and Wakanosato. Tamotsu “Babe” Nomura, a former football star, died on Nov. 13 at age 87. A member of the Hollywood High School football team before internment, he earned All-Conference honors at Los Angeles City College and helped lead the San Jose State Spartans to a win over Utah State in the Raisin Bowl. He earned a tryout with the New York Giants in 1946. Yo Takagaki, a real estate agent and community leader, died on Nov. 14 at age 94. In 1958, he and three partners developed L.A.’s Crenshaw Square, site of the Oriental Summer Festival and Miss Sansei Pageant. He founded Nikkei Foundation of America and helped establish the charter for the Japanese American Republicans of Southern California. Bill Tapia, an ukulele virtuoso believed to be the oldest touring musician in the world, died on Dec. 2 at age 103 at his home in Westminster. He would have been 104 on Jan. 1. The Honolulu native began playing the instrument in 1915 and performed for the troops in World War I and during the ukulele’s heyday in the 1920s. His range included Hawaiian standards, jazz, swing, pop and rock, and he collaborated with such legends as Louis Armstrong, Bing Crosby and Elvis Presley. In 2004, he was inducted into the Ukulele Hall of Fame and released his first album. He celebrated his centennial with a concert at the Warner Grand Theatre in San Pedro. Masato “Mauch” Yamashita, a lifelong baseball player and coach, died on Dec. 7 at age 86. He was with the Lodi JACL team, part of the Northern California Japanese American Baseball League, for more than 60 years. In 2002, the City of Lodi named a baseball field in Kofu Park after Yamashita. Kyoko Asada, mother of two-time world champion figure skater Mao Asada, died Dec. 9 at age 48 in Nagoya. She traveled regularly with her daughter domestically and internationally. She was also the mother of figure skater Mai Asada. Glen Yamashita, a well-known basketball player and coach, died on Dec. 6 at age 55 in Huntington Beach. An athlete at Monte Vista High School and Cal State Fullerton, he was active with Suburban Optimists and VFW within the Southeast Youth Organization, as well as the Nisei Athletic Union, Orange Coast Sports Association, and the Yonsei program. Yoshimitsu Morita, a director whose films depicted the absurdity and vulnerability of everyday life in conformist Japan, died on Dec. 20 at age 61 in Tokyo. His credits include “Family Game” (1983) and “Tsubaki Sanjuro” (2007), a remake of the Akira Kurosawa classic. Sori Yanagi, whose designs for stools and kitchen pots brought the simplicity of Japanese decor into the everyday, died Dec. 25 at age 96 in Tokyo. His “butterfly stool” won an award at La Triennale di Milano in 1957 and helped elevate him to international stature. It joined the permanent collection of the Museum of Modern Art in New York and the Louvre in Paris.